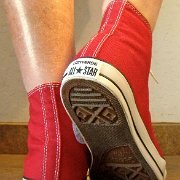 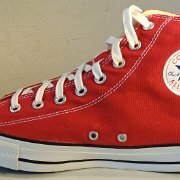 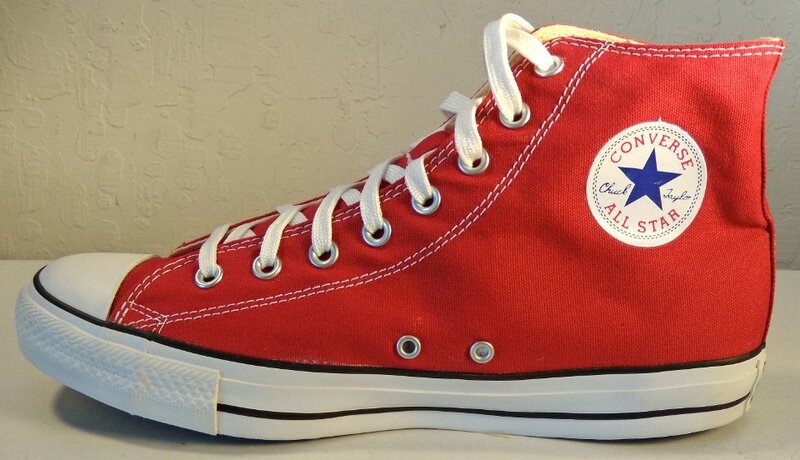 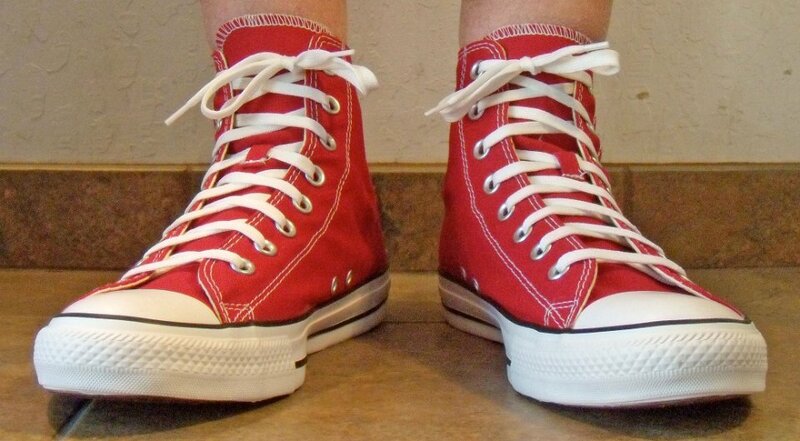 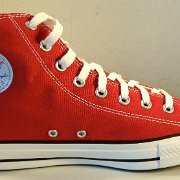 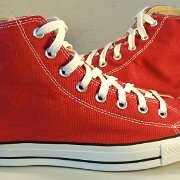 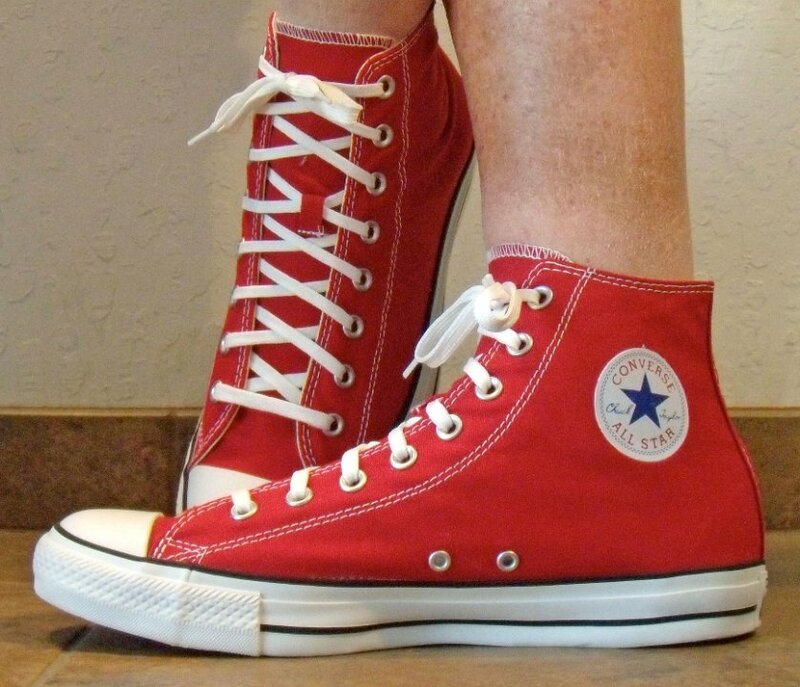 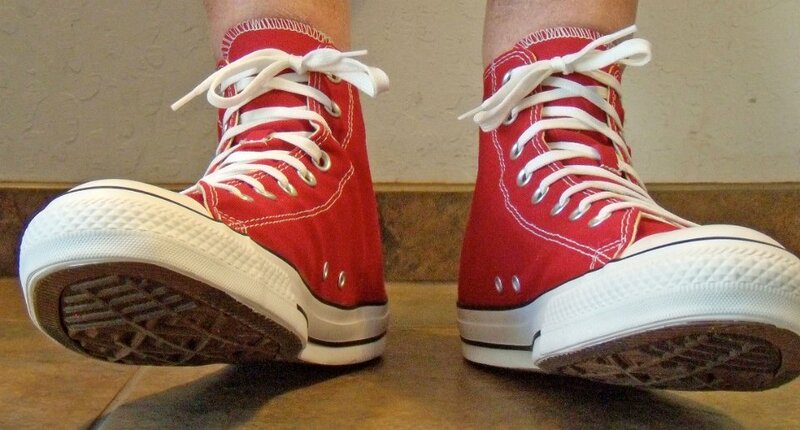 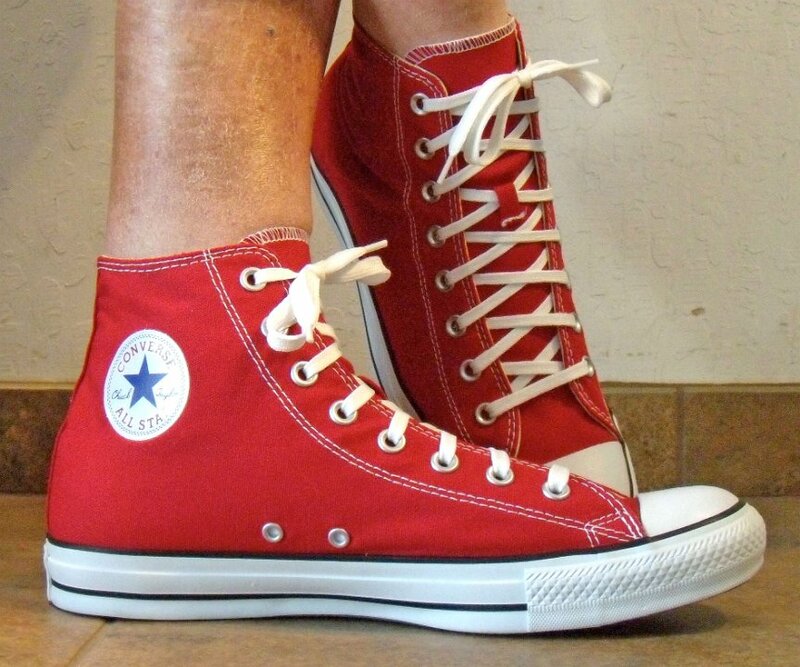 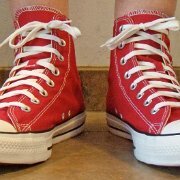 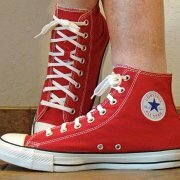 Photo gallery of a new pair of Red Days Ahead seasonal high top chucks. 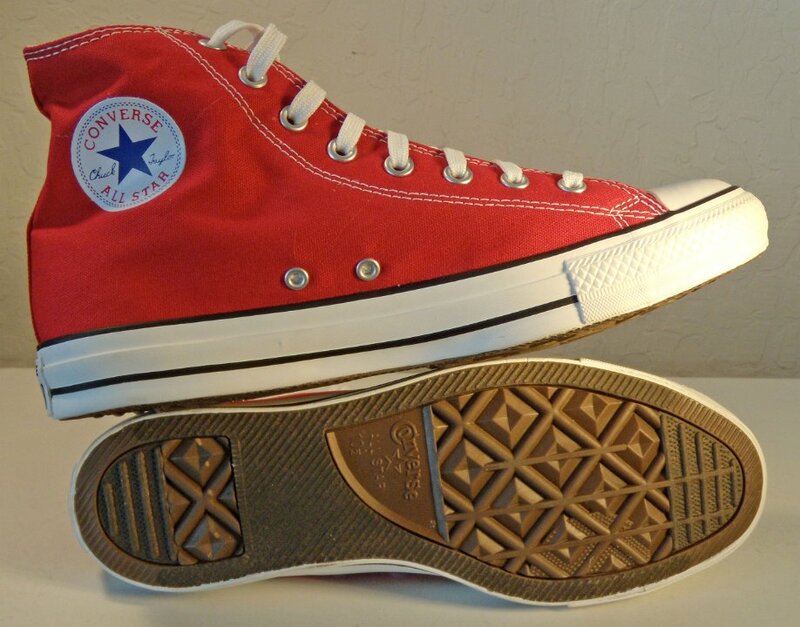 1 Red Days Ahead High Top Chucks Inside patch view of the right red days ahead high top. 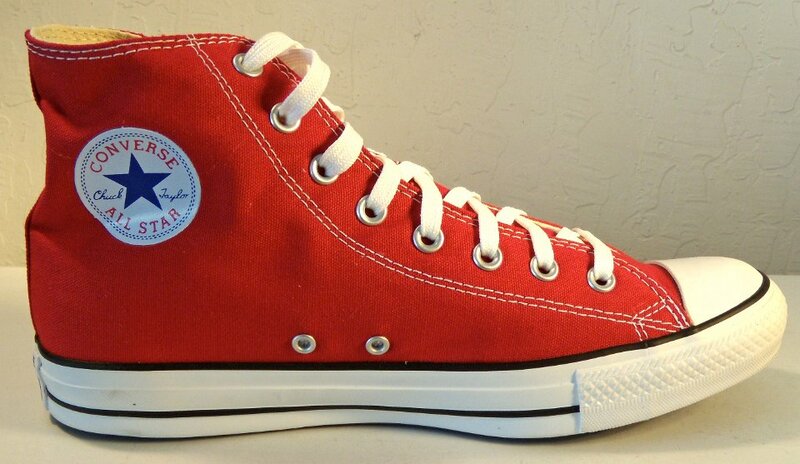 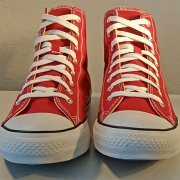 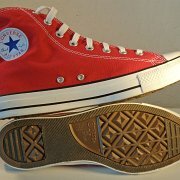 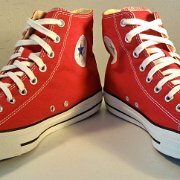 2 Red Days Ahead High Top Chucks Outside view of the right red days ahead high top. 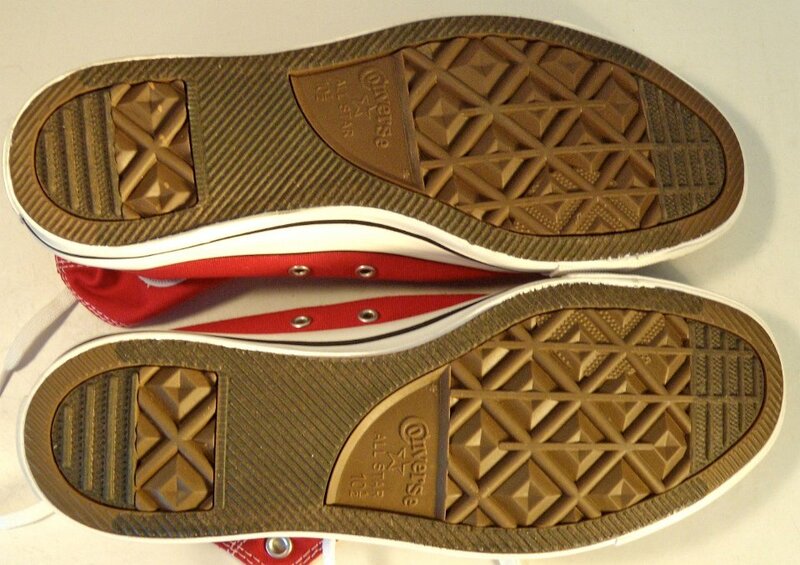 3 Red Days Ahead High Top Chucks Inside patch view of the left red days ahead high top. 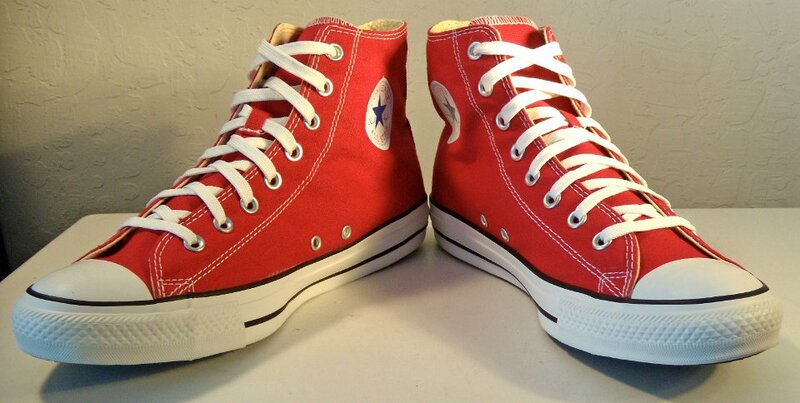 4 Red Days Ahead High Top Chucks Outside view of the left red days ahead high top. 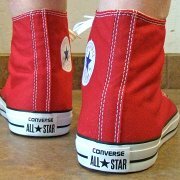 5 Red Days Ahead High Top Chucks Rear view of the red days ahead high tops. 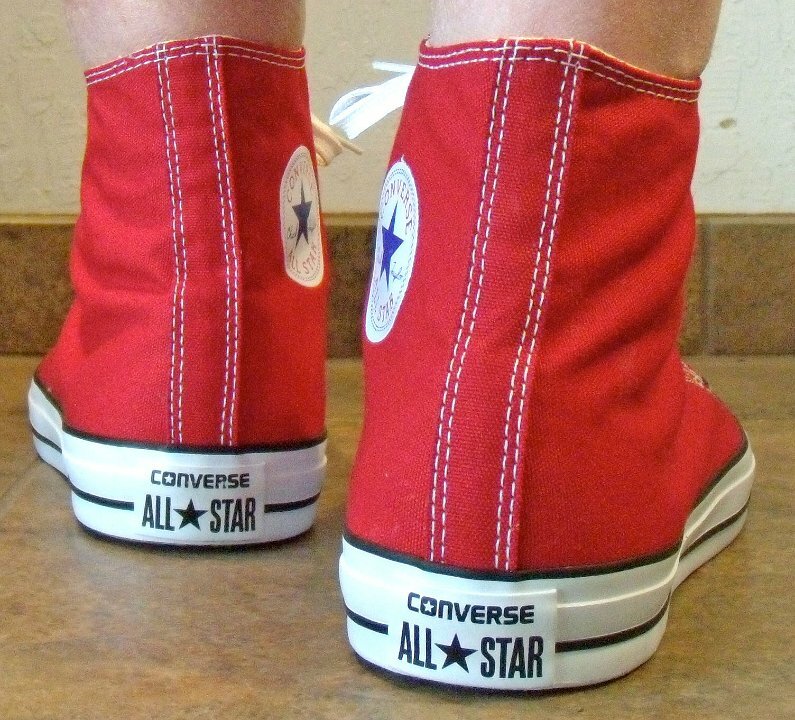 6 Red Days Ahead High Top Chucks Angled rear view of the red days ahead high tops. 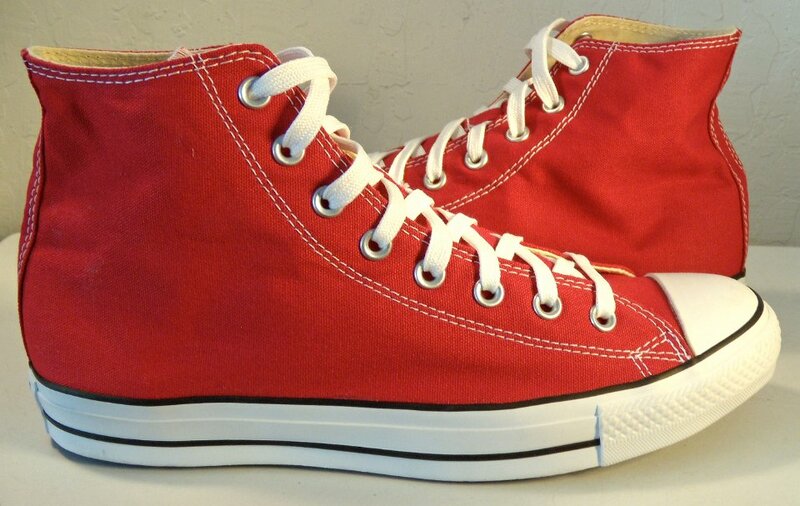 7 Red Days Ahead High Top Chucks Angled side view of the red days ahead high tops. 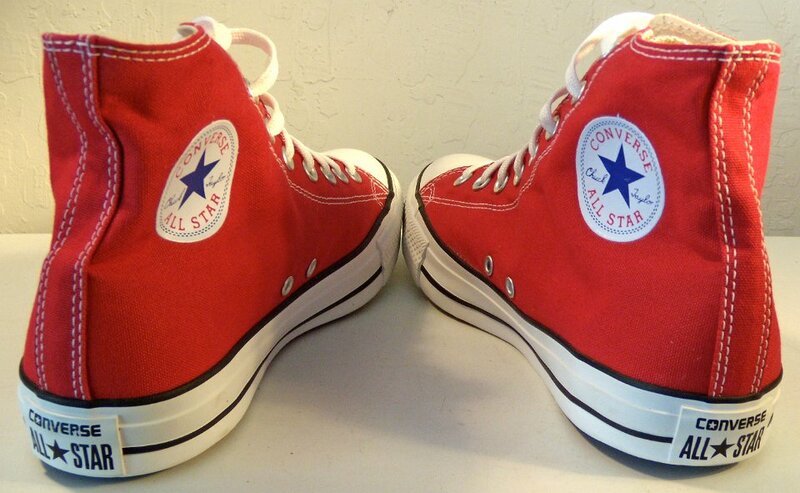 8 Red Days Ahead High Top Chucks Front view of the red days ahead high tops. 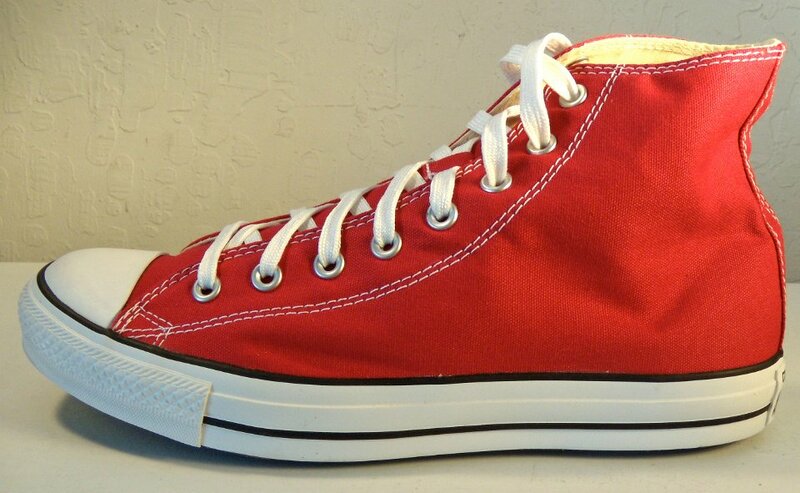 9 Red Days Ahead High Top Chucks Angled front view of the red days ahead high tops. 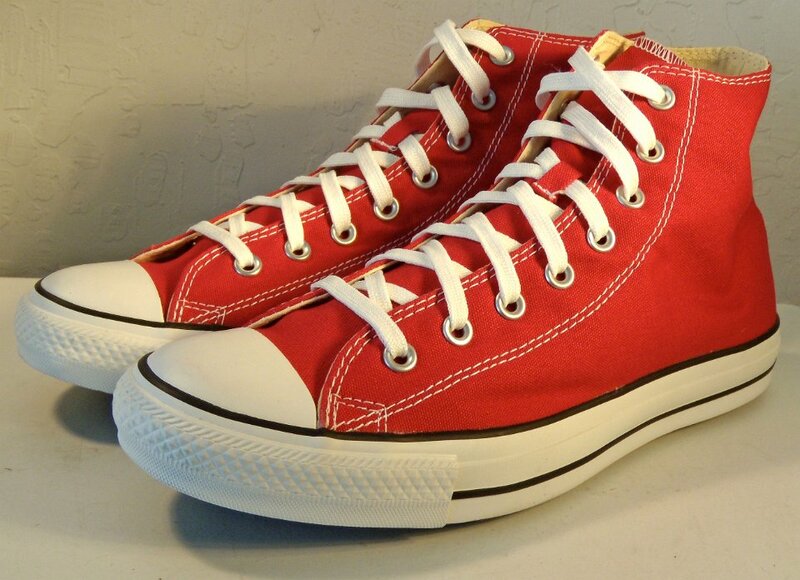 10 Red Days Ahead High Top Chucks Top view of the red days ahead high tops. 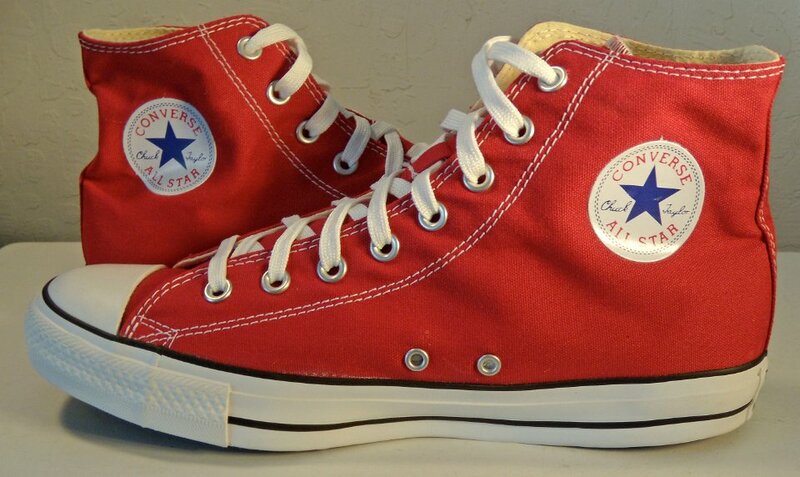 11 Red Days Ahead High Top Chucks Inside patch views of the red days ahead high tops. 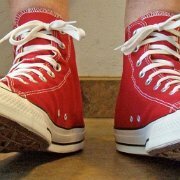 12 Red Days Ahead High Top Chucks Outside views of the red days ahead high tops. 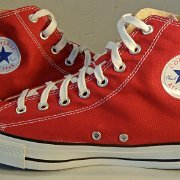 13 Red Days Ahead High Top Chucks Inside patch and sole views of the red days ahead high tops. 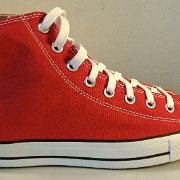 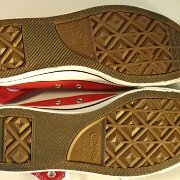 14 Red Days Ahead High Top Chucks Insole closeup view. 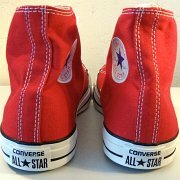 15 Red Days Ahead High Top Chucks Outer sole views. 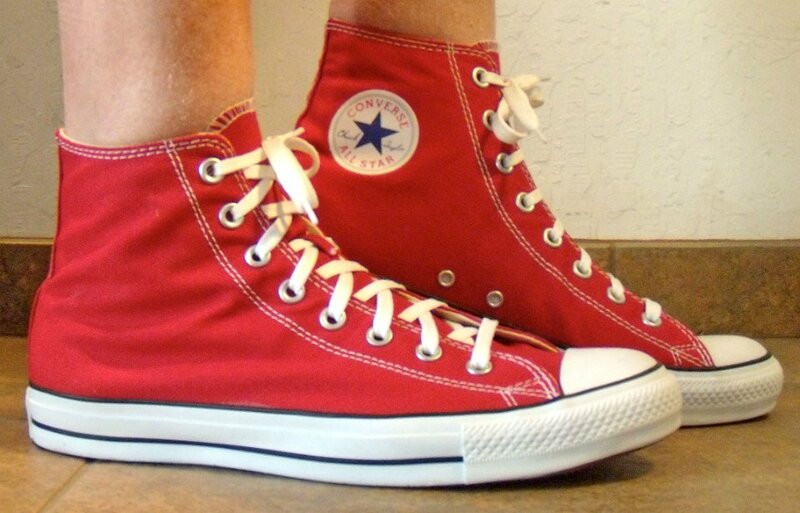 16 Red Days Ahead High Top Chucks Wearing red days ahead high tops, front view 1. 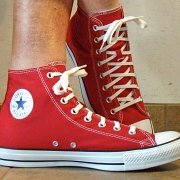 17 Red Days Ahead High Top Chucks Wearing red days ahead high tops, front view 2. 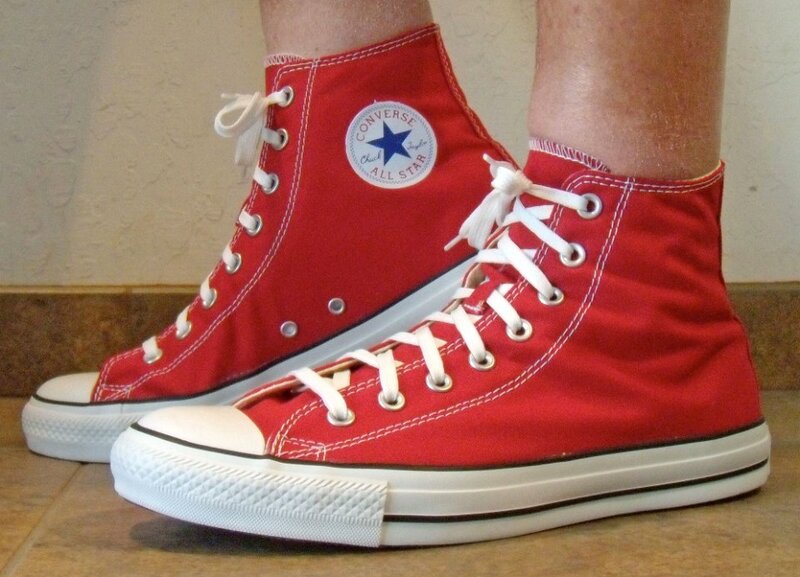 18 Red Days Ahead High Top Chucks Wearing red days ahead high tops, left side view 1. 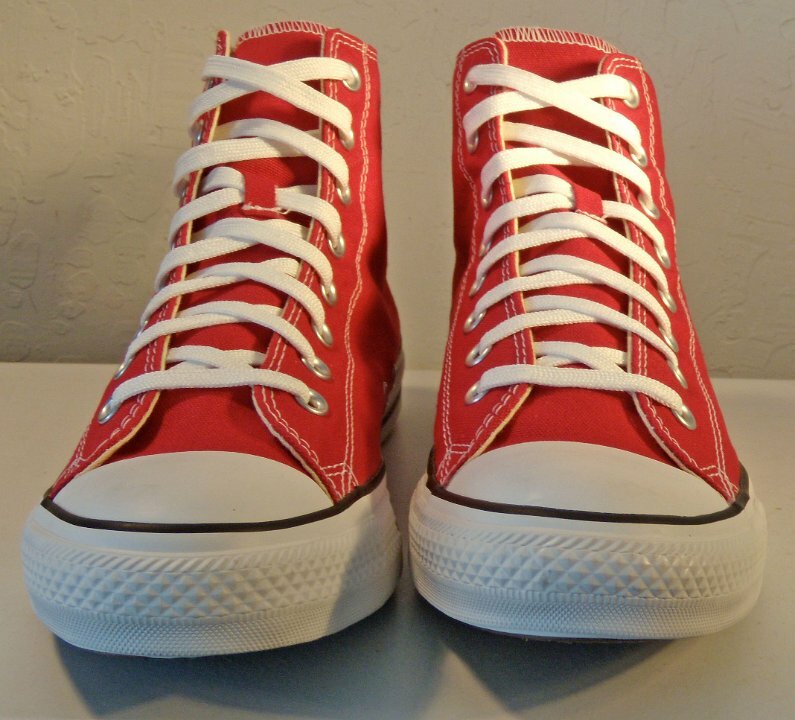 19 Red Days Ahead High Top Chucks Wearing red days ahead high tops, left side view 2. 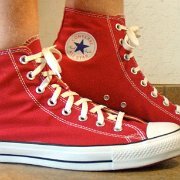 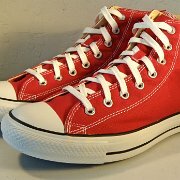 20 Red Days Ahead High Top Chucks Wearing red days ahead high tops, rear view 1. 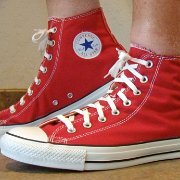 21 Red Days Ahead High Top Chucks Wearing red days ahead high tops, rear view 2. 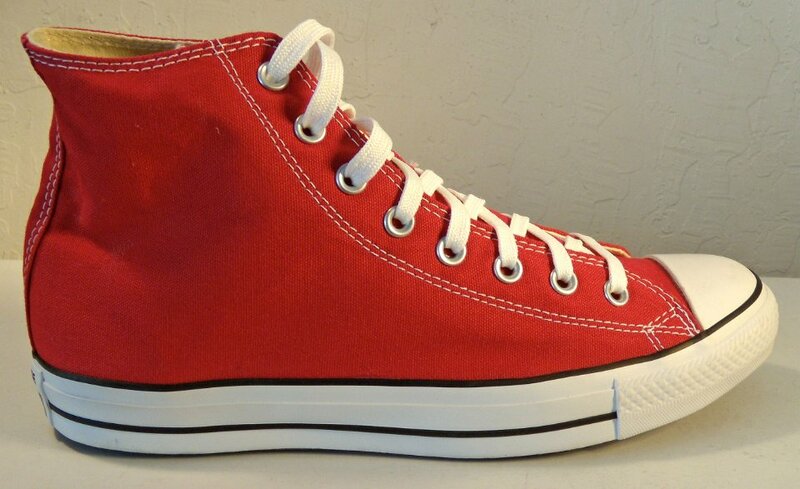 22 Red Days Ahead High Top Chucks Wearing red days ahead high tops, right side view 1. 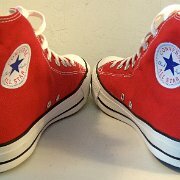 23 Red Days Ahead High Top Chucks Wearing red days aheadhigh tops, right side view 2. 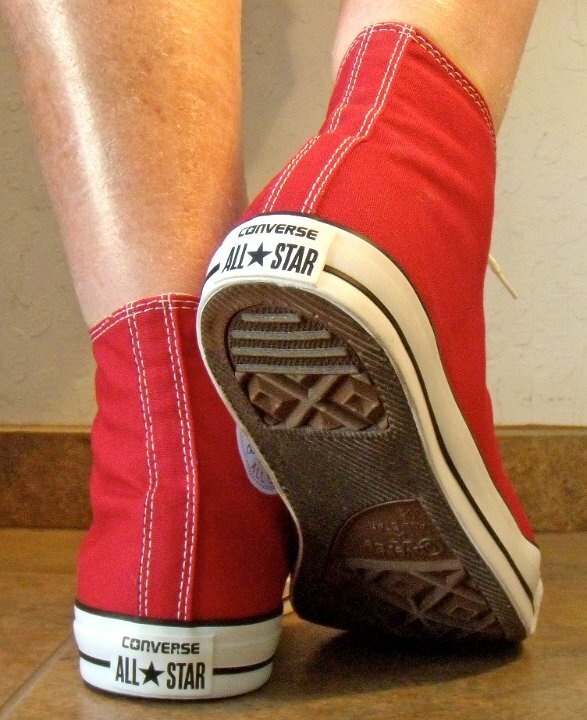 Red Days Ahead High Top Converse Chuck Taylor All Stars are a seasonal model from 2016. 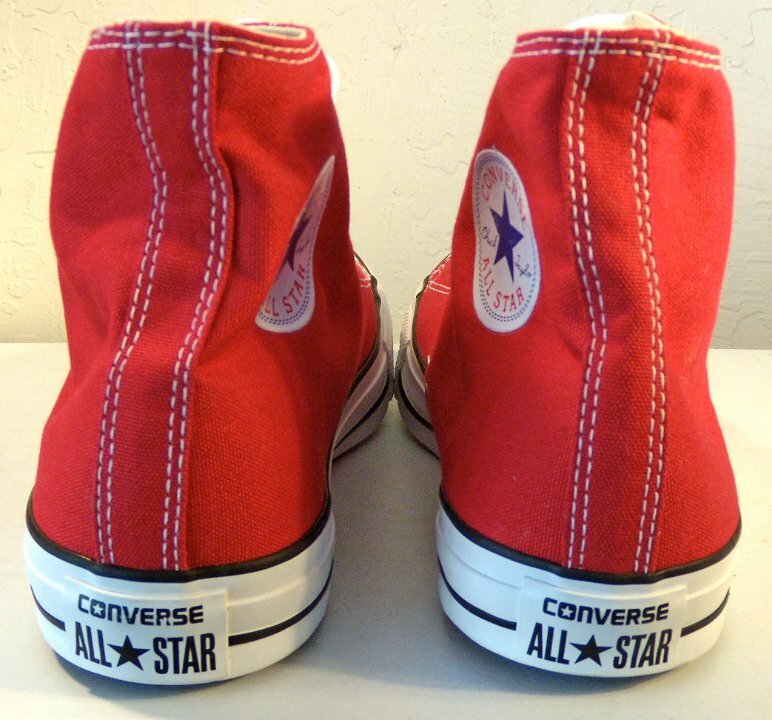 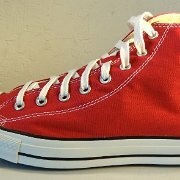 They have a red canvas upper that is less bright than the core model red. 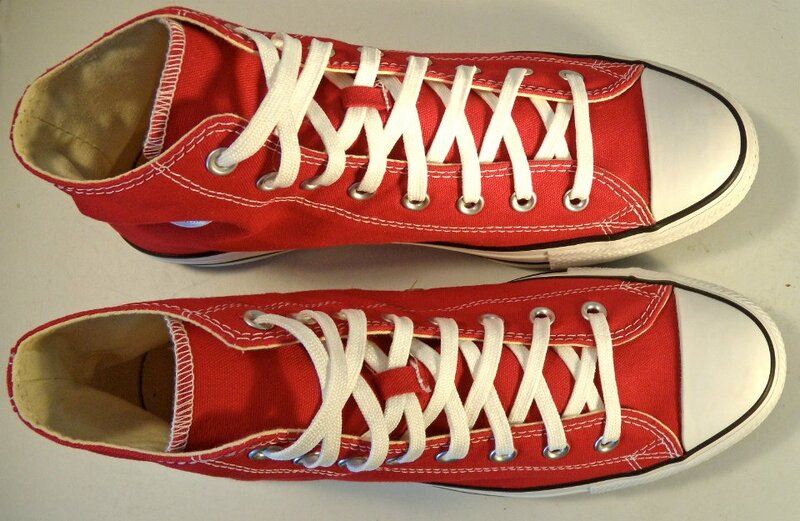 Other than their color, these shoes are typical seasonal issues, with the standard red, white, and blue ankle, black racing stripes, black heel patches, and white foxing and toe caps. 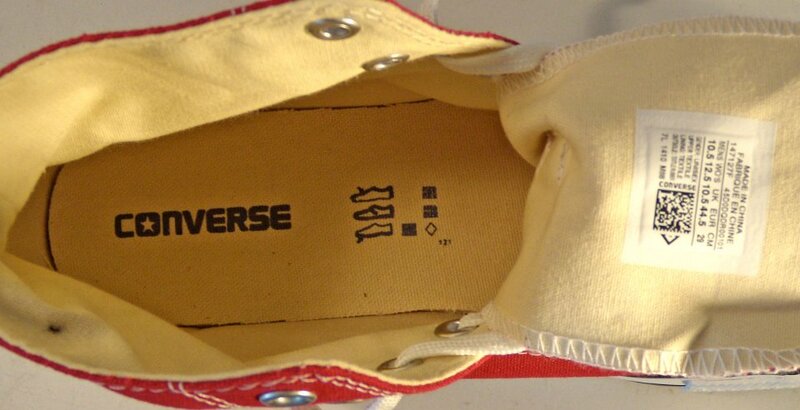 Their interior is natural canvas. 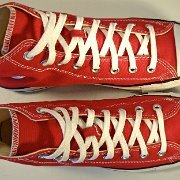 They come with the shoelace slot between the 6th pair of eyelets and white shoelaces. 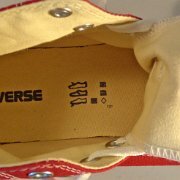 Thewe photos are shown with 54 inch ChucksConnection classic shoelaces.